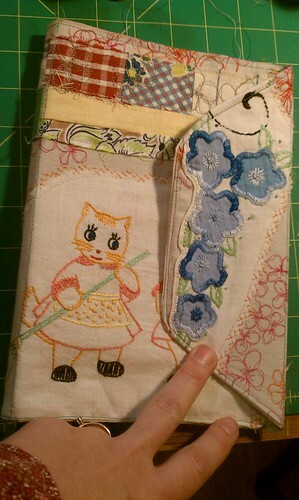 Stitches were added to the Remains of the Day journal I’ve been working on. 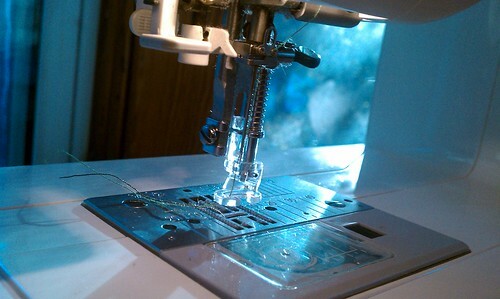 Oh darning attachment, how I love thee. Your free movement and imperfect ways have captured my heart. 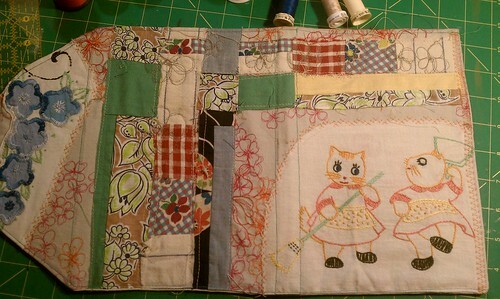 I still have more stitching to do, and a tie closure. Then I get to add the inwards. 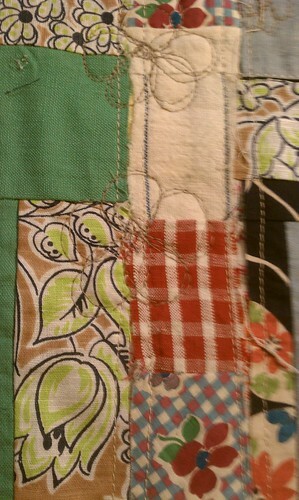 The colorful patches are strips of old unused vintage quilt blocks. 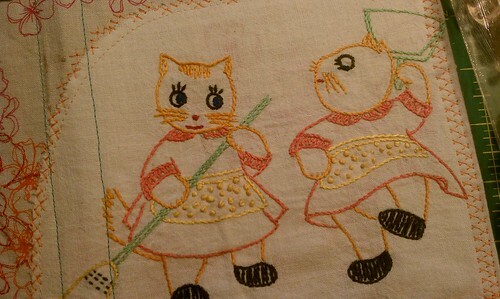 The kitties were stitched long ago onto a pillowcase. 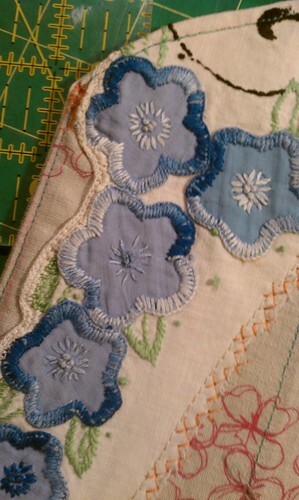 The flowers, also from a pillowcase. Now to attend to the mound of laundry that swallowed my couch. It’s good to have my priorities straight, creative time first, then the chores. It is fun to again see what you are creating. Regular fits of creativity are always good for my soul. I’m glad we have the same priorities!! This is so cute and the vintage touches warm my heart! LOVE IT! I especially like the kitties.